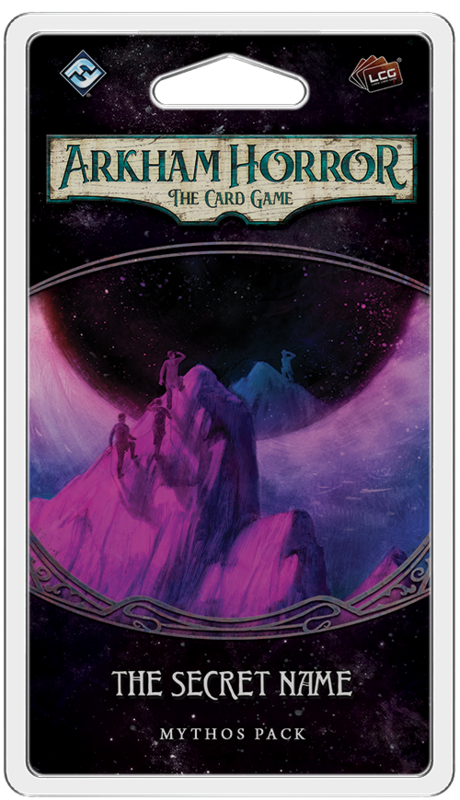 The Secret Name is the first Mythos Pack in The Circle Undone cycle for Arkham Horror: The Card Game. Following the events of The Circle Undone, you are desperate to find more information about the dangerous new coven that has taken up residence in Arkham. Such knowledge is difficult to come by, even in a place like Arkham, but you do know of one witch whose story has been passed down for nearly two hundred years: Keziah, who escaped from the Salem Gaol in the late 1600s, and whose ghost still supposedly haunts the condemned Witch House in French Hill. With many questions and few leads, you have no choice but to chase the ghosts of Arkham’s past. As a new cycle begins, you will need new tools to help you battle these unholy forces, including some of the new player cards in The Secret Name that belong to more than one class. These cards, which can be identified by their golden hue and dual class icons in the upper right corner of the card, can be added to your investigator’s deck if you have access to either of class detailed on the card. With diverse uses and powerful effects, they can make a worthy addition to any investigator’s arsenal. Pick up your copy of The Secret Name (AHC30) at your local retailer today or online through our website here!